Towards the end of the 60's decade, pop culture was spreading it's lifestyle across the country like a prairie fire. With music as its messenger, the record business began to sizzle with an unprecedented stage of retail activity. Record companies scrambled to sign the hot acts and sometimes entered into bidding wars over popular bands. Once a record was released to the public the promotion man delivered the product to radio, newspaper and media outlets and adopted the role of a quarterback pushing the campaign. Sometimes flying by the seat of my pants, I often ventured into uncharted waters by promoting my favorites. Tallied with successful results, record labels began to vow for my attention. It was about that time I began to view the world from the perspective of Atlantic Records. 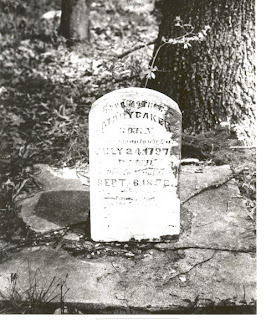 Mary Baker's headstone in Pleasant Hill MS. Born July 24th, 1797, Died September 6th, 1879. Schoolteacher Ed Sharpe once told me of an abandoned cemetery located deep within the woods of Mississippi. He said it had been left unattended for two century's with head stones dating all the way back to the late 1700's. Sounded like folklore to me when I called his bluff. "It's true" he said. "But you can't get there by car whereas you must hike thru acres of cow pastures and cross over barbed wire fences in search of the site." For an old Boy Scout like me, it sounded like a adventurous daytrip. So I loaded my Yoshika with 400 speed film, packed-up lunch of cheese and crackers, a Ya-Hoo and Moonpie and set out in search of this historic grave yard. Once on the right path, I eagerly plotted through chirping crickets while swatting grass hoppers away from my face. But the one thing that Schoolmaster Sharpe failed to inform me about was the thick beds of poison ivy. My mistake, never go back-hiking in shorts without socks. When I arrived at the grave sites I was truly amazed at what I found. There it was - just as described and in mint condition. Dozens of head stones dating all the way back from The Revolutionary War period. No one would believe me unless I photographed the evidence. Now captured on film was a secret hidden for decades. What an awesome discovery. I couldn't wait to tell all and show photographs. Weeks later, I returned with curious friends to reveal my findings only to find out that vandals had visited the cemetery. Believe it or not, all head stones had been smashed into small pieces and shattered beyond recognition. Why would anyone do this? A meaningless crime and for what reason? For weeks I remained shocked and saddended by those events. Only until recently did I re-discover the photographs from that site. In my photograph series titled "The Backroads of Mississippi", (Current posting and Archives 2005-04-10) viewers can revisit a period of culture far removed. Future postings will feature photographs and storylines of varying subject matter. It is my intent to display these photographs for historic and archive purposes combined with the novelty of entertainment. This site is fueled by feedback and I encourage viewers to leave their thoughts in the comment section. 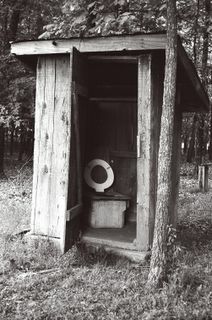 Outdoor plumbing. This morning I brushed my teeth with an electric tooth brush, shaved with warm water and blow dried my hair. The shower radio was jamming to Coldplay when the cell phone rang. Don't remember much after that. Yet, upon viewing this photograph it's hard to believe that one was subject to these conditions when seeking privacy. Did you floss today? Mosquito nest. 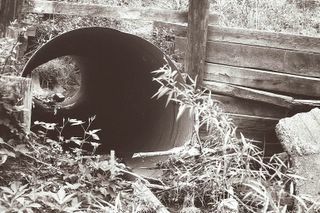 A near collapsed dirt road is upheld by the strength of dried-out culvert. Backroad travelers unaware of what lies below continue to journey across this well beaten path. 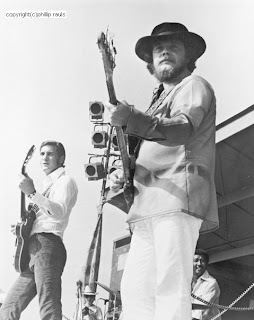 The Atlanta Pop Festival in 1969 was a three day event that drew over 400,000 people. Only the most respected bands were invited to perform. During the middle of Booker T. and The MG's hit song "Time Is Tight", drummer Al Jackson peeks from behind bassist Duck Dunn to spot me. With a big grin he summoned "How'd the heck you get up here Man?" It has been mentioned that Al Jackson might have been the worlds greatest drummer. Sadly it seems his early passing only goes to cloud the issue. But industry leaders and fellow musicians preserve his legacy with the highest regard. Although it was never really confirmed, Jackson also was probably the untitled leader of Booker T. and The MG's. The way that I figured it, any person who could tell Otis Redding or Steve Cropper what to do - got my vote. When things started to get shaky at Stax due to the undercurrents of new leadership, Booker T. up-and-moved to California and Al Jackson began writing and doing sessions for Willie Mitchell at Royal Studios. Those circumstances didn't sit well with management. By this time the broth had been spoiled. Truthfully speaking, I didn't know Al Jackson that well. Ofcourse we always greeted each other by shaking hands at company functions and occasionally chatted at the water cooler. More so, I think that he recognized that I purposely stayed on the outer fringes by seeking refuge within the media. The safest place for a foot soldier was staying buried in the trenches. But the thing that I liked about Al was whenever he entered into a room, he would always establish direct eye-contact with me. Without saying anything, he would simply wink-his-eye at me as if to say that I was on his radar screen. That impressed me and earned my deep respect. God rest his soul. On stage it was over 100 degrees during the afternoon concert. In an effort to shield from the intense Georgia sunlight, here Jackson performs an entire song with a towel draped over his head. The Young and The Restless. 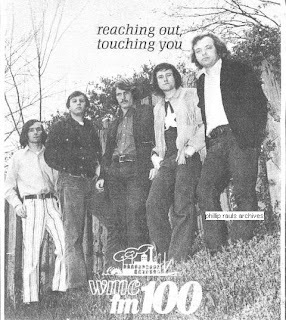 WMC-FM's accomplishments were a breakthrough by industry standards. Proudly boasting 400 thousand watts of power, the station was the nations second most powerful radio station and greatly influenced others. Pictured above is FM-100's air staff: (L-R) Ron Michaels, Greg Hamilton, David (Gingold) Day, Jon Scott, and Program Director Mike Powell. For several generations, radio had been making handsome profits by jumping on the youth bandwagon. First you had the Sinatra years and then the Elvis years and so forth. It seemed that disk jockeys always had been ahead of the curve. But now the broadcast industry inherited a spirited listener who was a channel surfing, volume controlling, instant gratification, audio addict who wanted to associate with only disk jockeys in their own common denominator. Listeners wanted to connect with a rock music icon. Not a ranting and raving blast-from-the-past twin-spin artist. They wanted a no-nonsense rock jock who talked the talk. Made perfect sense to me. Not surprisingly, those changes slowly ushered out yesterdays boss jocks only to invite a new generation of FM DJ's into the music scene. With those changes spawned a new breed of disk jockeys that didn't live on Groovy Street and drive a flashy Cadillac or Corvette. Truthfully speaking, most of the FM jocks that I knew generally drove beat-up Volkswagens or vehicles that were family hand-me-downs. You get the picture. During that distinct period, radio listeners were starting to fragment into a newfound category called demographic sectors. That was a new term being tossed around and began several generations of research think-tanks and focus groups. An example was turning on the radio dial listening to the AM Radio stations across town you might hear "Baby Love" by The Supremes or "My Girl" by The Temptations. But flipping the dial to the FM stations you would hear "White Rabbit" by The Jefferson Airplane or "Gimme Gimme Some Loving" by The Spencer Davis Group. Astute Program Directors recognized these changing music trends and made split-second decisions in an effort to please the masses. Play the new music they wanted to hear and not yesterday's playlist. The airwaves were experiencing a modern day generation gap and listeners lived the music. The music being programmed was paramount to the station's success and just as before, disk jockeys repeated their role as the pied-piper for generations of music lovers. In hindsight, this musical transition all looks pretty simple and a no-brainer for any radio programmer. But believe me, with hundreds of new releases every week, it was very complicated to air the perfect blend of hit music. 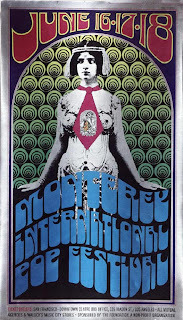 Rich in tradition, rock radio was the theatre of the mind. 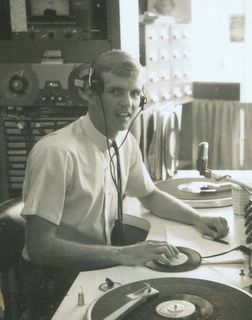 WMC-FM 100's Mike Powell had the good looks and gifted ears to build a talented staff around. Powell used the local university's broadcast school to select new air talent. Plus he had the remarkable ability to pick the perfect music to be programmed on the air, which despite what one might think is no easy task. 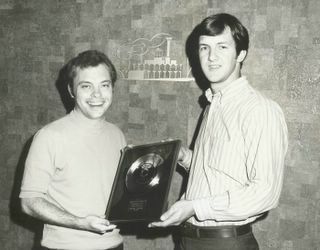 Here he receives a gold record award from promotion man Phillip Rauls as one of his many accomplishments. Scott Shannon broke all the rules with his nightly Power Hour radio program which featured artist most AM stations wouldn't touch. 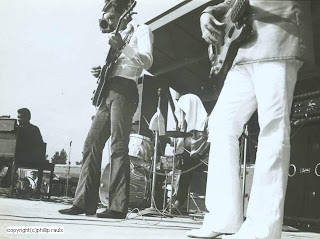 Known by his listeners as Super Shan, his raspy voice would shake and rattle your audio speakers. 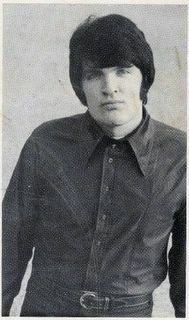 Nowadays Scott Shannon hosts radio audiences with his morning show at WPLJ-FM in The Big Apple. The Legendary Dewey Phillips ushered-in Rhythm and Blues to white teenagers in the segregated South. Phillips was renowned for being one of the first disk jockeys to play an Elvis Presley record. Plus he connected with the transistor generation through a turntable blend of pop and soul music. 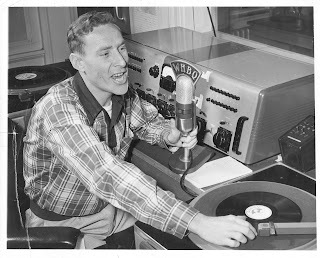 As a jive-talking hillbilly, he was perhaps the greatest DJ ever. Bill Thomas was Program Director and General Manager at several industry giants such as WDIA in Memphis and WNOE in New Orleans. Thomas, known as The Big Kahuna, is pictured here as a young jock behind the board at WHHM in Millington TN. As a early influence upon my career, Thomas educated me as to the proper use of a empty gymnasium, A Radio sponsored Battle of the Bands.